What was on the heart of Jesus as he marched up the mountain known as the Place of the Skull? Where did His mind go as he hung naked upon a Roman cross? What hope did His spirit have as He lay dead in the ground for three days? What triumph did He sing forth as He ascended to His throne at the right hand of the Father? The Psalms. The songbook of Jesus. Like a lyric pops into our head at certain times, so the songs of David echoed in the heart of Christ during His final days on earth. 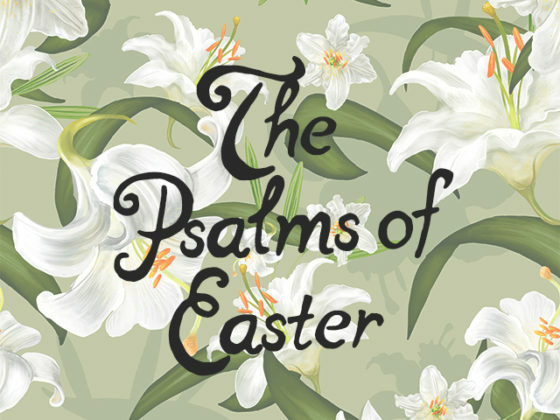 Join us as we spend three weeks diving into the Psalms of Easter – looking at Jesus’ death (Psalms 22), Jesus’ resurrection (Psalms 23) and Jesus’ ascension (Psalm 24)! given on Apr 14, 2019.